This "Historically Speaking" column was published in the Exeter News-Letter on Friday, August 29, 2014. 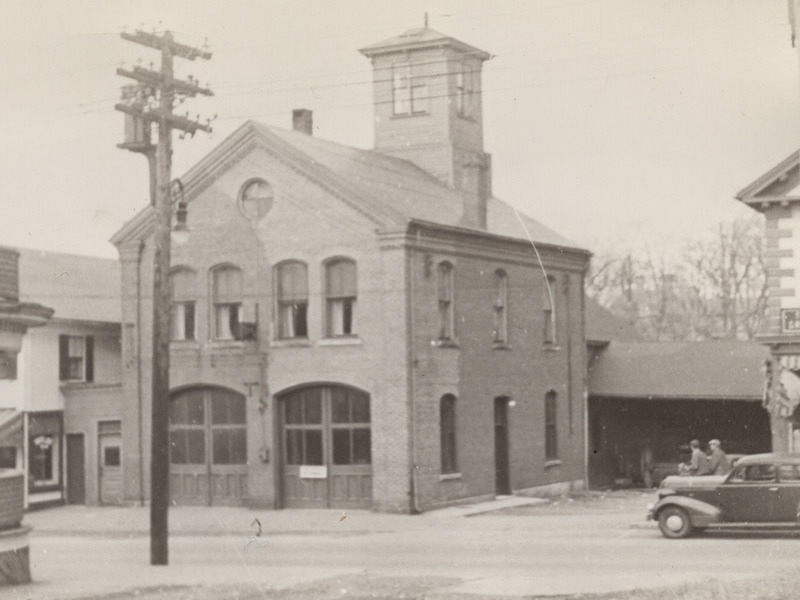 In 1873, the Town of Exeter upgraded its antiquated fire department. The old fire engines – really just hand pumped ‘tubs’ on wheels -- had proven incapable of actually extinguishing fires. In earlier days, putting out a fire was never feasible, the goal of the fire department was to stop a fire from spreading by wetting down the surrounding buildings. But technology had advanced by the 1870s and a series of devastating downtown fires prompted the town to take action. A beautiful steam engine was purchased from the Amoskeag Company in Manchester at a cost of $4,400.00. Uh, oh. 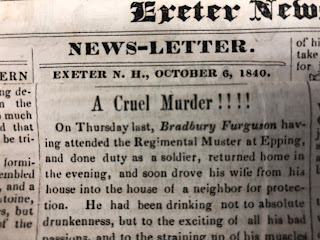 Sure, it’s possible to set up a committee and get things done, but as we all know, committees are comprised of people who have varying agendas, and Exeter in 1873 had some big issues involved in the erection of a new engine house. The first problem was that of location. The obvious place for the engine would be the center of town – at that time recognized as near the central commercial district on Water Street. The major fires of the 1870s had all occurred in this part of town. But factories had been springing up in the western part of town near the B&M depot on Lincoln Street. This part of town suffered from a chronic lack of water and slow response times. Meanwhile, the Eagle proved its worth in August when Michael Murphy’s barn on Portsmouth Avenue caught fire. “The new steam fire engine was first at the scene and prove its power and usefulness,” noted the Exeter News-Letter, “The fire was soon extinguished, with slight loss.” Having proved that the horses provided the speed necessary, perhaps a downtown engine house could serve the entire town. A special town meeting was called in October of 1873. The committee proposed building a two-story brick building on the Clifford Street site. To achieve this, they would require $3,000.00 more than the original appropriation. Unfortunately, the timing of the meeting couldn’t have been worse. The economic panic of 1873, which ushered in a period known as the ‘Long Depression’ lasting until 1879, hit during the same month. Skittish taxpayers, led by Jarvis McDuffie, balked at the extra costs. 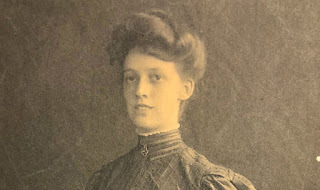 The News-Letter reported, “McDuffie opposed the adoption of the resolution on the ground that the appropriation already made was sufficient for the purpose, and the present high rate of taxation in the town and the threatening approach of hard times demanded the greatest economy. A lively discussion followed, which resulted in the rejection of the resolution.” ‘Lively discussion’ is another way of saying ‘loud shouting and fighting.’ It must have been an exciting meeting to say the least. Plans for the new engine house were tabled until everyone could cool down. It took almost an entire year for another town meeting to address the issue and in September of 1874, a new committee was appointed. The men of Exeter met a week later to vote on the conclusions of the committee. A new, inexpensive wooden engine house would be built on the corner of Lincoln and Middle streets on land leased from the B&M railroad. The Clifford Street land owned by the town would be sold and the proceeds used to help finance the brick steam engine house on Water street on land leased from the Exeter Manufacturing Company. The resolution easily passed and ground was broken for the Water Street engine house within weeks. Although barely mentioned in the two decades following its erection, the Exeter News-Letter saw fit to brag about the engine house in August of 1894: “Few Exeter organizations are so pleasantly housed as are the members of the Eagle Steamer company. A spacious hall occupies the greater portion of the second floor of the steamer house, and is in daily use by the members of the company and their occasional guests as a place of social enjoyment. It is comfortably furnished, and contains a pool table.” Water Street was the perfect location for the steamer company, but as firefighting equipment became motorized in the early 19th century, the sharp turn onto a main street became problematic. The Eagle was dispatched to its final fire in 1928. Sometime in the 1940s it was sold to collector James Filleul along with two other old Exeter engines, the 1835 Piscataqua and Fountain No. 1. In 1961, after Filleul’s death, the engines were returned to the town. A 1991 overhaul of the Eagle made the old steam engine functional again and it has made public appearances in town ever since. The Eagle Steamer house on Water Street was sold in 1950 to Western Auto Associates, which installed a store front covering the old barn doors. Recent renovations have returned the building to its former appearance and there can be no confusion about its original purpose. The Steamer House has returned. Image: The Eagle Steamer House on Water Street in the 1920s.